Fireworks have been banned on the Galapagos Islands to protect the archipelago's unique fauna, the local government said on Friday. The local council said in a statement that it had agreed "unanimously a resolution that prohibits the importation, sale, distribution and use of fireworks or pyrotechnics in the Galapagos province." Those fireworks that produce light but no noise have been excluded from the ban. The islands are home to thousands of residents as well as being a tourist destination, and the measure comes just days before New Year celebrations in which many people traditionally set off fireworks. "Ecosystems as sensitive as the Galapagos Islands are affected (by fireworks), principally its fauna that is unique," said the council. It also wants to avoid any potential deterioration in air quality or pollution of water sources. Animals have suffered from elevated heart rates, nervous stress and anxiety, which have "notably" changed their behavior and affected the survival of species inhabiting this World Heritage Site that belongs to Ecuador. "This is a gift to conservation for Ecuador and the world," Lorena Tapia, president of the local council, said on her Twitter account. 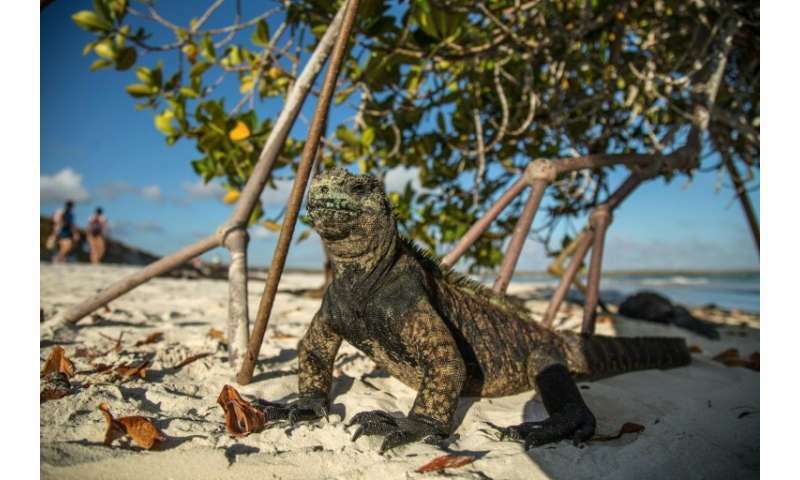 A campaign to limit the use of fireworks on the Galapagos Islands was launched in 2017. Single-use plastics have also been banned on the archipelago, about 1,000 kilometers (600 miles) off the coast of Ecuador. Known for its endemic species, the volcanic Galapagos Islands played a crucial role in British naturalist Charles Darwin's studies before he came up with his theory of evolution.